There are more online marketing options for small businesses than ever before – SEO, Adwords, Facebook Ads, email marketing, the list goes on. The problem is they’re becoming more complicated and as a business owner myself, I understand that you don’t have the time to learn them. While I know the options can be overwhelming, the reality is that you can have a lot more success with these online marketing tools than you would with traditional marketing like mailers or newsprint ads. New online strategies are just more efficient and cost-effective. Adwords specifically is an amazing tool to help your business grow quickly. 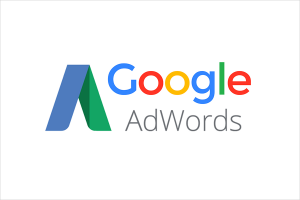 Whether you’re opening a new practice/firm or bringing in a new associate and want to grow, Adwords can help you bring in more general clients or patients. Adwords is also the best tool to bring in more specialized types of patients or clients. For instance, if you’re a dentist that wants to do more dental implant cases, Adwords can you help you quickly and efficiently find the people in your area looking for a dentist that does implants. The reason it works so well is that no other marketing medium will allow you to target an audience so specifically. Instead of advertising to everyone in your city, with Adwords you’re only paying to advertise to people in your local area that are actually looking for the specific service you want to offer. These leads are also good quality because they’re often ready to book-in quickly since they’re actively seeking out a solution. More high-quality leads is the simplest way to grow your business. No complicated systems, software, or training. I’ll use Adwords to send you more qualified leads that live near your business and are looking for exactly what you offer. All you have to do is book their first appointment. Invest the time to get you maximum results. After our onboarding call, I will take to time to thoroughly research your area and competition. This allows me to create the best ads and landing pages, optimizing your results. While most Adwords companies, just turn on general ads and run them to your homepage, I take the time to find the best offers and create compelling landing pages to maximize return on your adspend. Follow-up and implement quickly. You can expect quick turnaround time when you work directly with me. Unlike large Adwords organizations, I only take on one new client at a time so that I get your ads up and running as fast as possible. Plus no initial setup fee’s or 1-2 months of paying for my monthly fee’s without getting results. Marketing and copywriting help. I have 11 years of direct response training & experience. Let me help you write persuasive and meaningful messages customized to your audience. All you have to is provide the basic info and I will turn that into compelling sales messages. Full integration help. I am experienced with many other online tools and I can help integrate your Adwords leads into the rest of your funnel so that they get followed up with effectively via text, email or phone. This could include systems you’re already using or I can help recommend and setup tools. You have a minimum of $3000/month to invest in online ads. Note: we currently work with businesses who are spending $25,000/month. Apply for a Discovery Call below to get a custom proposal. Apply for a 30 minute Discovery Call to see how I can help you best. If we decide mutually that we’re a good fit, I’ll take the time to research Adwords options in your area and put together a custom proposal. This will include what kind of targeting and offers I think will work for your business. After the call, you can take that info and do what you like with it. There is no pressure to work with me if you don’t feel like we’re a good fit. I will also be honest if I feel like Adwords is not a good option for you. Sometimes an area is too competitive and Adwords will be too expensive to make it worth it. In this case, I can also usually propose alternative online marketing options.